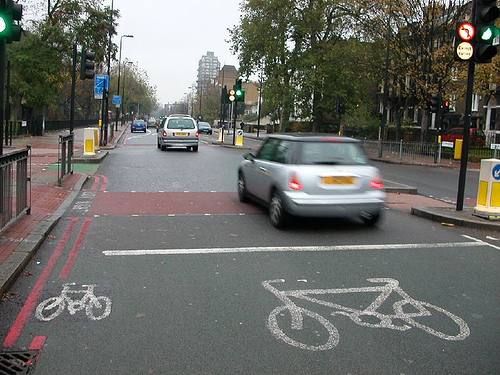 In late January 2005 a group from Lambeth Cyclists met Valerie Shawcross, GLA member for Lambeth and Southwark, at the junction outside Oval tube station to discuss improvements that can be made to make it safer for cyclists and pedestrians. Particular concerns that have been raised are the changing of lanes going Southwards down Kennington Park Road and the conflict with other road users at the junction with Camberwell New Road and Brixton Road. She has promised to look into our concerns and ensure Transport for London implement cycle friendly improvements to the junction.